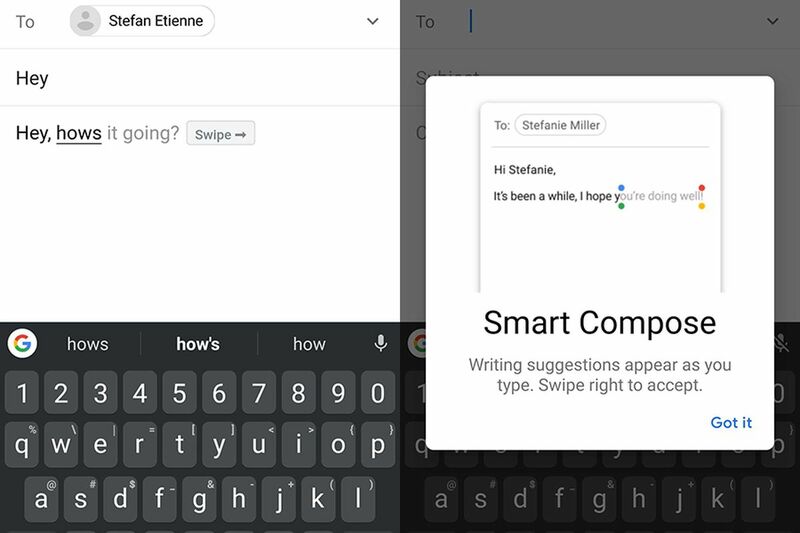 Smart Compose is a useful Gmail feature that’s arriving on all Android devices starting today. By following your writing patterns and language used, Gmail can automatically generate your frequently used phrases as you type. First spotted by Android Police, Smart Compose is coming to all Android devices via a server-side update. The feature has been tested across Google’s products, making its first appearance as an experimental desktop version of Gmail, followed by availability with G Suite app accounts, and then as a Pixel 3 device exclusive on Gmail for Android last year. However, until today, all other Android users were left out in the cold. When you start composing a new message, a pop-up introducing the feature should appear. We found Smart Compose on a Samsung Galaxy S10 Plus with version 9.2.3 of the Gmail app installed (from February 22nd), confirming that you don’t have to manually update the app. If you don’t want to use the Smart Compose feature (it’s auto-enabled), you can turn it off from within the Gmail app’s settings.